According to The Wall Street Journal today, the longer you stay well, the more it hurts companies’ bottom line. Shame on you. Kimberly-Clark execs apparently had to use their tissues to wipe their own tears after a fourth-quarter drop in sales last year — all because you failed to get sick. Companies were worried for a while, though, telling shareholders to do their part. In January, Walgreen Co. CEO Jeffrey Rein told a shareholder gathering that December marked the first time in his 25-year career at the company that cough- and cold-medicine sales fell during the month. If attendees of the meeting needed to cough, he joked, they should leave the room and “go to a movie theater or on a bus” to spread their germs. “We’re really hoping for a very strong flu season,” Mr. Rein told the crowd, according to a transcript of his presentation. 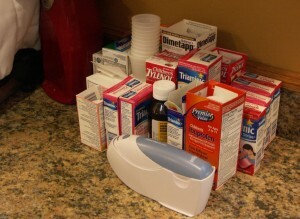 Procter & Gamble Co.said on a conference call in January that quarterly sales of its Vicks cold medicine had been weak. “Unfortunately, people have not been getting sick at a rate that we would all like yet,” P&G CEO A.G. Lafley said on the call, with a chuckle. I got sick during the first week of school two weeks ago. Everyone got sick. Then I started to feel better. Until Saturday. It was worse. I was sick all weekend. Then today. Much, much worse. Fever. Chills. And various nastiness. I swear, I’m ready for hospice. Is it this bad everywhere? Or is it just me? Questions about visiting Washington, D.C. If I miraculously rise from my death bed, however, I plan to visit our nation’s capital next month. 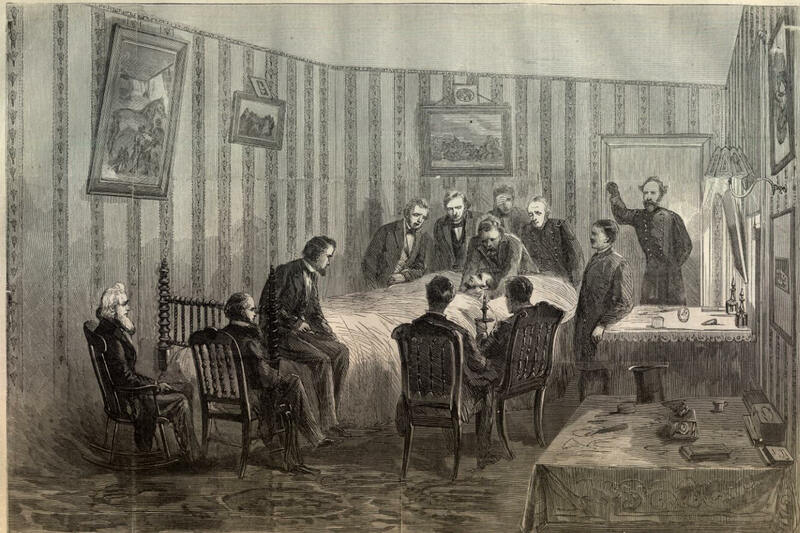 Yes, when searching for “death bed,” one of the first results was Abraham Lincoln on his, which I have been reading about in Sarah Vowell’s Assassination Vacation. Coincidence? I think not. She also talks a lot about Washington, D.C., which brings me to my questions. I will attend a conference, and I’m not sure what to expect with weather, what I will need clothing-wise, what in the world I can pack in a suitcase anymore and such. Yes, I’m flying, which means I will probably miss the entire first day of the conference because of delays or cancellations. This will be the first time I will pretend to be professional in public in, well, a while. I will already be an outsider as a freelancer (not to mention, hiss, a blogger), and I will probably have that first-day-at-Kindergarten look with my new satchel for my laptop. Yes, satchel. I have bags. I want a satchel. So I don’t want to go overboard with a whole new wardrobe or anything. But I don’t want to seem completely out of it. My feet have become Floridated. No, they don’t consume fluoride. They just live in sandals day in and day out because they can, and they don’t do well in normal shoes. I only have shoes and socks for visiting other places, and I always get blisters on my feet whenever that happens. But, tell me, sandals in D.C. in October won’t fly. Will they? The dress code is “business casual.” What does that mean these days? Way back when I worked the mushroom shift (you know, after dark and through to the early-morning hours), there was only a two-hour gap when the day-shift folks would sneer at our ratty jeans and tennis shoes. After that, nobody cared what we looked like. So … what is business casual? Does it include clothing that most people would dry clean? Or just slacks that aren’t denim? Is it cold there in October? (Anything 75 degrees or below would cause me to break out the winter stuff here.) Do I need a sweater? Jacket? Ear muffs and mittens? What’s worse than putting my babies on a bigass school bus at 7:30 every morning, the whole transition thing, crying, no more naps? Having them home tomorrow. Sick. I think I’m getting sick too. Good times.